The Syrian refugee situation is unprecedented in scale and is the largest operation the UNHCR has dealt with in its 64-year history. Over 191,000 people have perished; the violent conflict has displaced more than 6 million people within Syria and has forced over 3.2 million to seek refuge abroad. At the request of Syria’s neighbours and in response to urgent calls for action by the UN, German Foreign Minister Frank-Walter Steinmeier has invited 20 foreign ministers and 10 international organisations to the „Conference on the Syrian Refugee Situation – supporting stability in the region“, due to take place in Berlin today 28 October 2014. 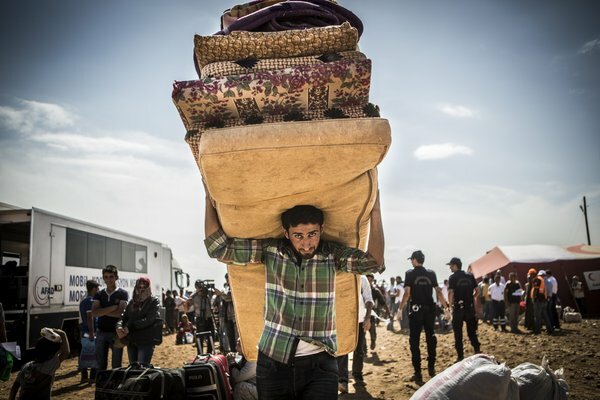 Syria’s neighboring countries, in particular Turkey, Lebanon, Jordan and Iraq are severely strained in maintaining the capacity and infrastructure to accommodate the needs of both refugees and host communities.